If you or your property are harmed while using a product properly, you may be entitled to file a product liability claim. These claims are often levied against manufacturers or distributors and are intended to compensate the injured party for damages the defective product caused when it was used. To determine if you are eligible for a claim, contact Honolulu Product Liability Attorney Dennis W. Potts, conveniently located near downtown. He can explain the types of claims that are available, and any other factors necessary to have a valid claim. While there are a variety of lawsuits in which liability arises from a defective product, most claims can be classified into one of three categories. The first involves a defect in the product that resulted in injury. This means that either during the manufacturing process or another time between its distribution and sale, the product was rendered dangerously defective. The second type has to do with a more fundamental aspect of the product: its design. If there is a defective design, although the product was manufactured properly, the design of the product itself renders it unsafe and opens the manufacturer up to liability. Generally, design defect claims involve multiple products experiencing similar problems and are difficult to prove on an individual basis. The final category involves the insufficient communication of product usage instructions setting out the possible risks the product poses to the consumer. If a company produces a product, it is legally obligated to list any potential risks it may have on a warning label or within a user manual. Failure to provide enough information or improper or misleading instructions can result in a products liability claim on the part of injured parties against the manufacturer or others within the chain of distribution. There are multiple parties who can be deemed at fault in a product liability case. If the product malfunctions and causes injury, everyone from the designer to the final retailer can be held accountable for placing the product within the stream of commerce. In some cases a tort claim can be filed, but you need not file a tort claim in order to seek compensation for injuries suffered as a result of defective products. While the evidence needed to verify your claim varies from case to case, there are some common elements that must be proven for a product liability claim to be viable. First, actual injury must have occurred. 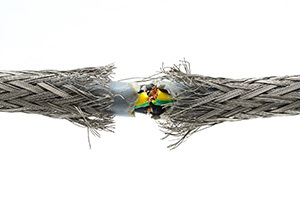 A near brush with injury due to a defect is not enough. Second, there must be proof that the product that caused the injury was defective in some way. Third, the defect or lack of adequate warning must have directly caused the resulting injury. Fourth, the product must not have been altered or changed after it left the distributor’s possession. Finally, it must be proven that the product malfunctioned while being properly operated to the best of the user’s knowledge. Honolulu Personal Injury Attorney Dennis Potts can speak with you in detail about the merits of your case and the process by which you can validate your product liability claim. The best way to ensure you get adequate compensation for your injuries resulting from a defective product is to obtain legal counsel with a wealth of experience dealing with products liability claims. A seasoned Honolulu products liability lawyer can tell you whether or not you have a case. For more information on product liability or to schedule a free consultation with an experienced personal injury lawyer, contact the Law Office of Dennis W. Potts at (808) 537-4575. He works on contingency, so you can have peace of mind that he will successfully represent your case.